These handbuilt models come up occasionally on eBay. They look incredible. I think the company may no longer be in business because I haven’t been able to find out anything on the web. “Madagascar 3” Scooter Toys where are you? Fingers crossed folks. “Madagascar 3: Europe’s Most Wanted comes out June 8, 2012 and features a whole lotta scooters. 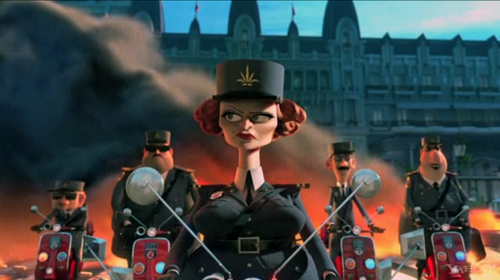 Hopefully we won’t get cheated like we did with “Ratatouille” and it’s sad lack of scooter toys. Are you listening Disney? Thanks to Tom C. for this heads-up! 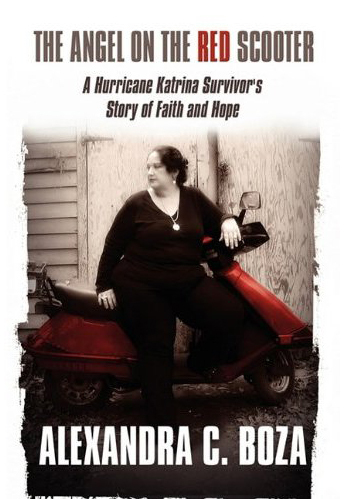 If anyone has read this book, I’d love to know what you thought. It’s retailing for $20.98 on Amazon. I’ve been a longtime fan of Jonathan Adler for his pervasive love of all things retro and kitsch. But he hadn’t produced a single bit of scootery until just recently. Get ready to empty your wallets folks, because his style ain’t cheap. The Positano needlepoint pillow is $98, the Jet Set Duchess totes are $178 and the Vespa Jute Pouch is $38. Sigh. I need a sugar daddy. Here’s a lucky charm and this one is even decently priced! 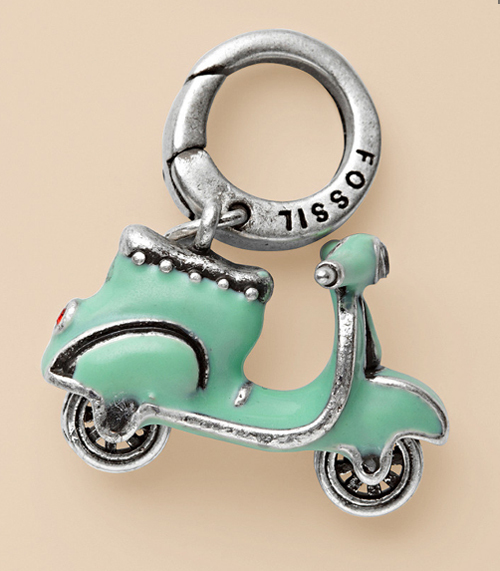 It’s $18 at Fossil and is a mint green enamel with a vintage silver tone. It has moving wheels, a clear crystal headlight and a red crystal taillight. It measures just .75″ long and comes with a .6″ lobster claw clip. 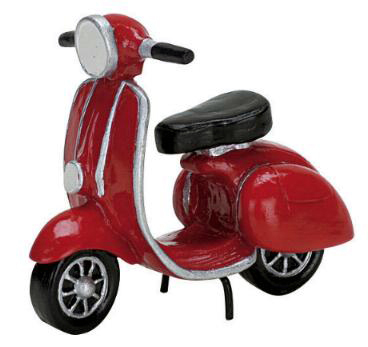 Here’s a nice little red scooter that’s more than worthy as a birthday cake topper or for crafting projects. It measures 2.56″ tall, 3.15″ long and 1.65″ deep. Best of all may be its price: just $2.99. Originally $59, this cute painted wood scooter is now on sale for $39. 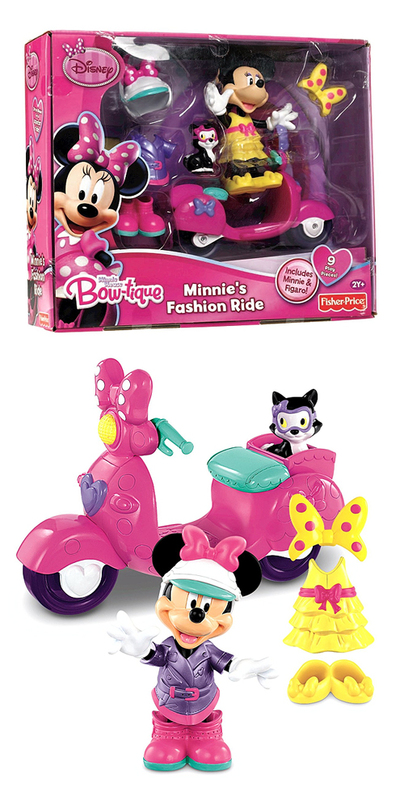 Doll and matching helmet are not included. I think a teddy bear would look particularly cute riding this. 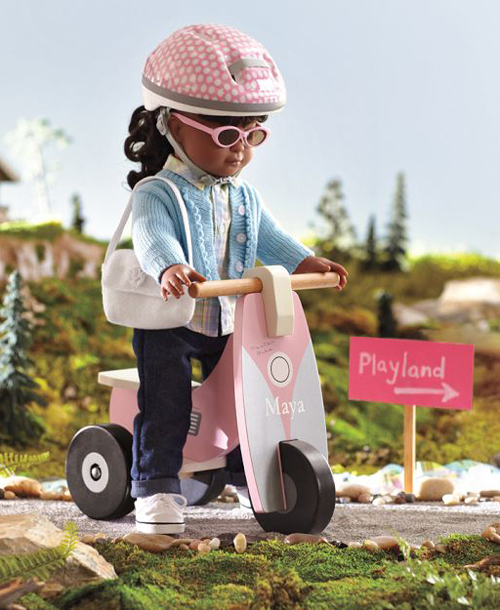 The scooter measures 11.5″ wide x 20″ long x 12″ high and is designed to fit the Pottery Barn dolls or dolls and stuffed animals that measure approximately 18″ tall. Oh and you can personalize the scooter with a name for just $7. Oh look! Another Honda scooter. (Alex – are you paying attention? ; ) This is a little robot that turns into a scooter. Which I think is so much cooler than turning into a Freightliner truck like the more well-known Transformers. To see a video of this toy in action, click here.